The November 2011 edition of the Music Education Blog Carnival will be hosted by MusicEdMajor.Net! Carol Broos presents Teach Like Boot Camp ~ posted at Be A Techie:). Carol Broos provides insight into how she teaches and how she helps students be the best they can. Mark T. Burke, CEO presents RMM Philosophies for Teachers and Schools ~ posted at viaAcademies, Music Education News and Information. Mark Burke discusses Recreational Music Making (RMM) in this thought provoking article. Trevor Dow presents Connecting with quiet piano students-Does the Squeaky Wheel Always Need to Get the Grease? ~ posted at Teach Piano Today. Rose presents Piano Lessons, Music to our Ears ~ posted at Learning at Home. Rose talks about her experience with her children and group piano lessons. Evan Tobias presents Has music education changed since 1970? On students who rock. . . ~ posted at Evan Tobias: Catalysts and Connections. Even Tobias looks at a couple of opinion pieces in the New York Times and provides his insight and his responses to them. Travis J. Weller presents Travis J. Weller; New Classics? ~ posted at Composing Like Mad. Pramod Fulpagare presents Music to perform meditation,yoga, healing & deep sleep ~ posted at Music in Nature. Pramod Fulgapare relates the value of using music in conjunction with meditation and yoga practices. Jessica Tomlinson presents A Brief Copyright Summary posted at Music Insight. Jessica Tomlinson provides a first-hand experience of obtaining a license agreement from a publisher for a presentation. That concludes this edition. 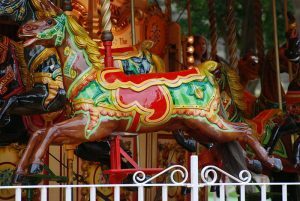 Submit your blog article to the next edition of music education blog carnival using our carnival submission form. Past posts and future hosts can be found on our blog carnival index page. Please consider submitting an article for next month’s edition!